Despite recent upticks in mortgage rates, they’re still at a relatively low point historically. But now that the Fed is cautiously increasing its benchmark rates, you can expect that mortgage rates will start ticking back up, as well. It’s hard to say exactly where the rates will land in the next year or more. But one thing is for sure: if you haven’t already taken advantage of these low rates, now is the time to consider refinancing! Here’s what you need to know about the mortgage rate trends we’re seeing and whether or not you should be refinancing your mortgage. First, it’s a common misconception that Federal Reserve interest rate changes drive the mortgage market. In fact, these rate cuts apply to short-term interest rates, and they typically have little to no direct effect on fixed-rate mortgages. That being said, adjustable rate mortgages (ARMs) may be more sensitive to these sorts of rate changes. In fact, depending on the terms of your loan, those of you with ARMs might see higher rates the next time your loan resets. With that said, the Federal Reserve’s interest rate benchmark tends to have a sort of trickle-down effect on mortgage rates. First, variable and short-term rates (like rates for credit cards and other adjustable-rate loans) will increase. But those rate increases will eventually impact longer-term, fixed-rate loans like mortgages, as well. In fact, we’ve already seen some increase in prime mortgage rates as the Fed has started to announce its cautious optimism about the economy. Last March, Freddie Mac put the prime mortgage rate for a 30-year mortgage at 3.69%. This March, it’s increased to 4.2%. That’s enough of a jump to make a big difference in a mortgage payment, but it’s still a good deal lower than the 7%+ homeowners were paying back in the early 2000s. The bottom line here: mortgage rates are already on their way up, and that trend is likely to continue if the Fed keeps increasing its benchmark rate. Don’t expect interest rates to skyrocket overnight, though. The Fed has been cautious so far, and will likely keep moving slowly in the future. 1. How does my current APR compare to what I can get today? First, you need to know what your current APR is, and then check out what you’re likely to be able to get today. This rate calculator lets you run the numbers according to your current credit score, home value, and mortgage amount. The rates quoted don’t constitute an actual offer, but give you an idea of what you can expect from different lenders. If you want an even better idea of the rate you’re likely to pay, contact a mortgage lender directly. Compare your estimated new APR to your current APR. Is it significantly lower? Even a tenth of a percent can make a huge impact on a long-term loan like a mortgage. 2. What’s my current loan-to-value ratio? If you’re upside down on your home — or close to it — you won’t qualify for a refinance, most likely. So check out your current mortgage balance, and compare that to your home’s current value. Don’t know your home’s value? See what other similar homes are listed for near you, or use value-estimating websites. Just keep in mind that these aren’t always the most accurate. You may need to go through a formal appraisal process for your refinance, depending on the bank’s requirements. This will cost extra, but could also help you qualify for a favorable refinance — especially if your home’s value has increased since you purchased it. 3. How long do I plan to stay in my home? The key numbers in determining whether or not a refinance is worthwhile are your new APR, your closing costs, and how long you plan to stay in your home. Maybe a refinance will save you $200 a month. Great! But if you pay $1,500 in closing costs, and only stay in your home for three months after the refinance, you won’t break even on those costs. It’s impossible to predict the future, of course. Maybe some circumstance will come along that will cause you to sell your home sooner than you’d figured you would. 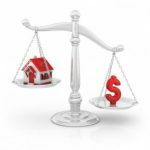 But you should generally try to figure out how long you plan to stay in the home, and use that to determine whether or not a refinance is worth your while. 4. What closing costs will I pay? Finally, you’ll need to figure out how much the refinance will cost. Often, there are up front costs, as well as closing costs. As with a first-time mortgage, you can often roll some (or maybe all) of those costs into your mortgage amount. Just keep in mind that by doing this, you’ll commit to paying interest on those fees! Refinance costs vary, but they’re often estimated at somewhere around 1.5% of the new loan balance. You may also have costs like title insurance and other fees you paid when you originally took out the mortgage. Now that you’ve got all this information, how do you use it? You’ll need to run it all through a refinance calculator like this one. Put in all the relevant information, and it’ll let you know how long it will take you to break even on your refinance and how much you’ll save over the life of your loan. Keep in mind while you’re running your calculations that interest rates are climbing each month. However, if you need to take some time to save up for closing costs or get your credit score into better shape, it’s unlikely (though not impossible!) that rates will jump quickly sometime in the next few months. Despite the celebrity which body building had attained him, Schwarzenegger had been determined in order to become a strong actor. Those who possess had years of encounter at the rear of them and understand what these are typically doing. Building a brick oven is not complicated, when you utilize the right materials, tools and also techniques. reason why you need to not try to be among the privileged few. bricks laid in a particular pattern and bond together. how wide it is, in which it needs to curve and what components you will utilize for your walkway. Great blog you have got here.. It’s difficult to find high quality writing like yours these days. I really appreciate people like you! Take care!! The government will not have to raise rates becuase of money they spent. Also mortgage rates have nothing to do with the rates the government sets. Those affect short term rates. The government will only raise rates if inflation becomes a concern or if the economy heats up too quickly. I have a 30 year morgage with a adjustable rate .The first 60 monthly payments have been at a interest rate of 5.650. Starting 12-21-09 this could change thereafter every year. Before each change date the note holder will calculate my new interest rate by adding 2 3/4 (2.75) to the current index. Not to exceed 11.650 or less then 5.650. I have approx 40,000 in equity and intend to stay here until they carry me out. 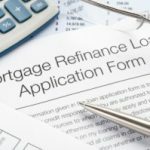 Should I try to refinance at a fixed rate? We are upside down on our loan….my husband is unemployed and I am self employed in the service industry. Are there any plans out there for us to refi with no equity to a 30 fixed? Our rate now is 6.75 and I would like to take advantage of the low rate to lower our payment so we do not become a statistic. I too am wondering if it would be in my best interest to refinance. I currently owe about $47,000 on my condo that has a current interest rate of 6.5%. I would consider refinance for 10 to 15 years. I am currently working with a couple that is wanting to build a new house. We offered to buy their old house and start building now. They wouldn’t get much as much as they are asking but they can still rent it while they are building the new house. I am not one to push people into things that are not right. But I am looking at 6-8 months down the road and I could see interest rate going back up, after the goverment spends all of this money. They are going to have to raise rates to get people to save. So they question is do you think it is wise to take a loss on the existing house to move into their dream house? I think it is a tough call at this point. You say that it would take 16-20 months to recoup costs, that’s $2400 at the minimum. Where do you live cause that seems high for being on the low end??? I’m in the Chicago area and when I last refied, it cost me $395 up front and $1200 at closing. My wife and I were contacted by our mortgage guy who asked if we were interested in refinancing our loan. He said the rate would be 5.25% on a 30 year fixed when we are currently paying 6.75% on a 30 year fixed mortgage. It would result in monthly savings of about $150 and would take about 16-20 months to recoup. I see my wife and I staying in the house anywhere between two and five years. So although it would be a no-brainer if we were going to live here for 30 years, it is more questionable if we only stay 2-5 years. That’s key. Decide what your long terms objectives are and then make a decision from there. Though my family and I don’t have a home yet, we’re thinking a lot about this type of stuff. I’m going to learn now before I do something stupid! We actually refinanced earlier this year (February) and got into a 15 year fixed at 4.875%. That was down from a 30 year fixed at 6.375%, so we’re saving a ton of money in the long run.